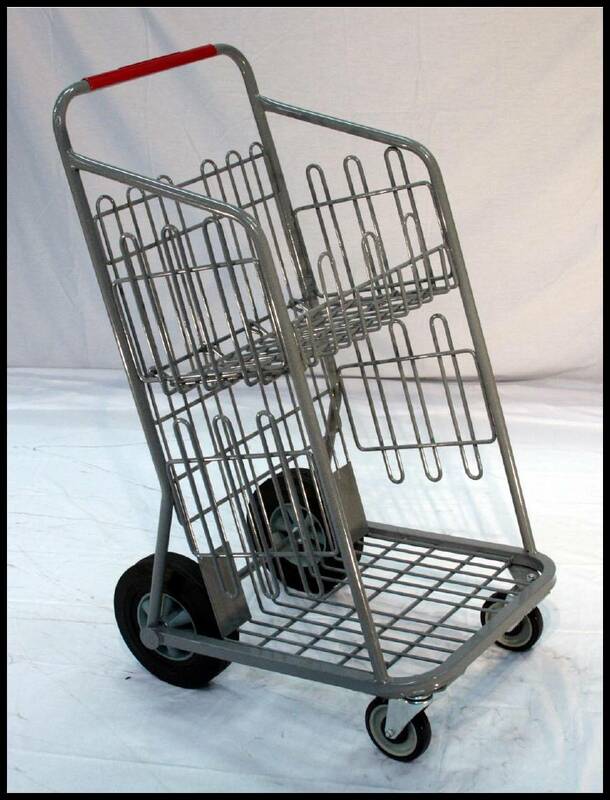 Our metal Carry out cart features a flip up top shelf for convenience. Our metal Carry out cart is built of square tubing to provide maximum strength and has 10" solid rubber wheels to handle heavy loads. The front swivel casters have 5" wheels to provide easy maneuverability.